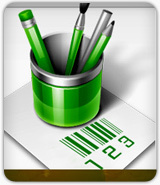 Barcode Design Software – Corporate Edition generate linear as well as 2D barcode labels. Barcode Program is designed with advance batch processing feature to generate multiple barcode labels, price tags and stickers. 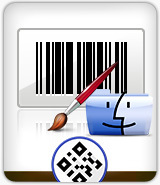 Mac Barcode Design Software – Corporate Edition is developed to create and print multiple barcode labels and stickers. Program has advanced batch processing series feature to design and print list of barcode labels on MAC OS X installed machine. 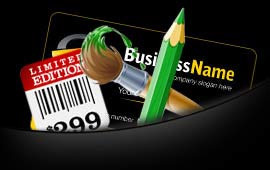 Barcode Label Design Software - Standard generates barcodes as specific to major industry standards. Barcode making program facilitates user to create customized bar code label and helps in streamlining the business performance by quickly generating bulk barcode labels, stickers or tags with support to wide range of shapes and fonts. Barcode Label Design Software - Professional creates high-resolution barcode labels, stickers, tags and generates customized barcode label using Linear and 2D barcodes. Barcode designing utility creates barcode labels using different designing objects and saves the generated barcode images in different graphics file formats. Barcode Label Design Software - Mac supports all popular varieties of barcode fonts thus generating high resolution barcode labels that can be read by all Mac OS compatible barcode scanners and printers. Barcode software runs on all Apple Mac OS installed machines is reliable and cost-effective as compared to other barcode making programs. Barcode Label Design Software for Healthcare Industry and Nursing homes. Software has ability to generate bulk barcode lists using advanced series generating options, bar code software has become widely useful in labeling healthcare products, healthcare equipments, health care toolkit and medicines. Barcode Label Design Software for Manufacturing Industry provides advanced methodology to design and generate barcode images for satisfying Industrial, Manufacturing and Warehousing Industry Barcode Labeling needs. Software design quality bar code images in Linear and 2D barcode fonts. Packaging Industry is mainly concerned with distribution activities of various goods and products. Barcode technology is useful to carry out business processes in an efficient manner. Barcode label design software having the facility to print multiple barcodes in single page with print preview functionality. Barcode Label Design Software for Post Office generates high resolution postal bar code labels useful in post offices and in banking sectors. 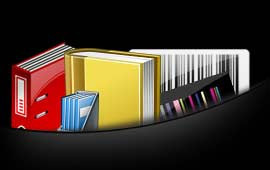 Software is consisting of barcode designing objects like Pencil, Pictures, Text, Line and Ellipse etc along with barcode designing view facility to create barcodes. Barcode Label Design Software for Publishing Industry is structured with enhanced barcode image designing features, bar coding software is extensively relied upon by Libraries and Publishing Industry to generate library barcode labels and publisher barcode labels in popularly used linear and 2d barcode fonts. Inventory control and retail industry is responsible for the distribution of finished products to the public and managing stock details of industries in efficient manner. Barcode label design software creates quality inventory and retail barcodes using advanced Linear and 2D barcode font standards.